Grab your tissue box because this one’s a tearjerker. 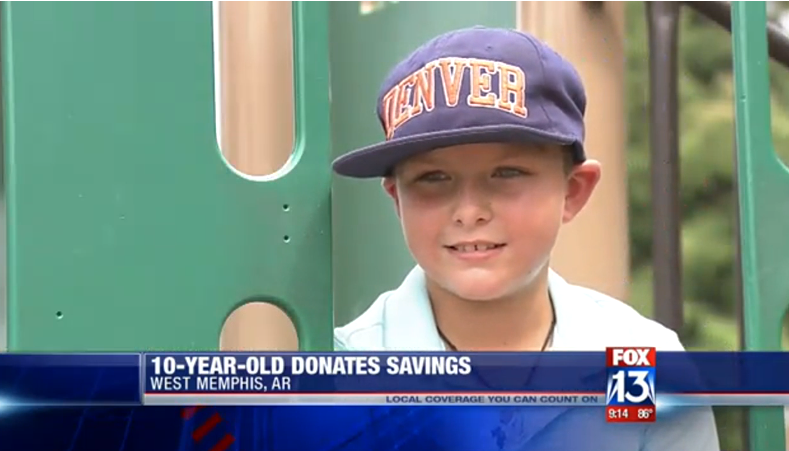 A 10-year-old boy from West Memphis, Ark., named Max learned of a tragic car accident in which a local young man he’d never met perished. He felt the urge to pitch in for the funeral, and donated his entire savings of $20 to the family of the car accident victim. Max had been saving for five weeks to buy a guitar, as he has aspirations to be a musician – but he put his wants and desires on hold to help support a family in need. What happened next will restore your faith in humanity.